Trainee Teaching Associates (TTA) - Post Graduate, Ph.D.
Post Graduation or equivalent (with minimum 60% marks) in Management, Social Sciences (preference would be given to Psychology, Sociology), Economics, Finance, Mathematics, Computer Science and Statistics. Candidates pursuing Doctoral Programs/Ph.D. can also apply. A consolidated stipend ranging from Rs. 22,000/- to Rs. 24,000/- per month will be paid. The appointment will be made initially for one year which could be extended for a year or two on the basis of performance and Institute’s requirement. Interested candidates may fill the attached form and send their CV through e-mail at pgpoffice2@iimcal.ac.in addressing The Senior Administrative Officer-PGP. Please mention Application for the post of TTA at IIM Calcutta as the subject. The last date for receiving the application is Monday, September 10, 2018. 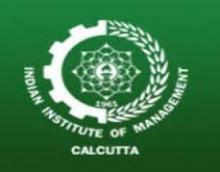 Indian Institute of Management Calcutta (IIM Calcutta) recruits Trainee Teaching Associates (TTA) Posts. Candidates with Post Graduate, Ph.D. experience can apply. The Indian Institute of Management Calcutta (IIMC) was established as the first national institute for Post-Graduate studies and Research in Management by the Government of India in November 1961 in collaboration with Alfred P. Sloan School of Management (MIT), the Government of West Bengal, The Ford Foundation and Indian industry. During its initial years, several prominent faculty formed part of its nucleus, including Jagdish Sheth, J. K. Sengupta, among others. Over the years, IIMC has grown into a mature institution with global reputation, imparting high quality management education. It has been playing a pioneering role in professionalising Indian management through its Post Graduate and Doctoral level programs, Executive Training Programs, Research and Consulting Activities. Today, the institute serves as an autonomous body, continually evolving to meet its goals in an ever-changing business environment. The vision of the Institute is to emerge as an International Centre of Excellence in all facets of Management Education, rooted in Indian ethos and societal values. Over the past four decades, IIM Calcutta has blossomed into one of Asia’s finest Business Schools. Its strong ties to the business community make it an effective mechanism for the promotion of professional management practices in Indian organizations. Today, IIM Calcutta attracts the best talent in India – a melting pot of academia, industry and research. The best and brightest young men and women pursue its academic programs. The residential experience is a foundation of the IIMC culture, which includes teamwork and the building of lifelong relationships. Students and partners live on or near campus, making social events and shared activities a way of life. From our core curriculum of general management skills to advanced electives and seminars, our students have exceptional access to a preeminent faculty of thought leaders, all of whom teach in the MBA program. To our students, we offer intellectual depth, abundant resources, and individual attention. To our alumni, we provide a lifelong connection to excellence. To the world, we have a commitment to ethical and responsible leadership. Overall Mission : The mission of the Institute is to develop innovative and ethical future leaders capable of managing change and transformation in a globally competitive environment and to advance the theory and practice of management. Core Institutional Values : We shall strive to develop and sustain the following values to provide the context for all our programmes and activities: Excellence, Academic Freedom, Commitment, Responsiveness to Societal Needs, Creativity, Openness, Diversity with Synergy.